Faster than a speedy credit default swap, more powerful than a federal funds interest rate cut, and able to leap a tall Mario Draghi in a single bound, look…it’s Helicopter Ben! How did Federal Reserve Chairman Ben Bernanke become a monetary superhero with such a cool nickname as Helicopter Ben (a.k.a. “HB”)? Bernanke, a former Princeton University professor, has widely been known to be a diligent student of the Great Depression, and his aviation nickname stems from a 2002 speech in which he referenced dropping money from a helicopter to combat deflation. While investors may worry about HB’s ability to fight the inflation thugs, there should be no questions about his willingness to implement accommodative, deflation-fighting monetary policies. Chairman Bernanke may not epitomize your ideal superhero, however this slightly past middle-aged bearded and balding man has helped mastermind some of the most creative and aggressive monetary rescue efforts our country and globe has seen in the history of man (and woman). This week’s money-printing QE3 announcement solidified Bernanke’s historic capital saturating ranking. Since Helicopter Ben’s heroic appointment as Federal Reserve Chairman in 2006 by George W. Bush, Bernanke has instituted numerous monetary gadgets in hopes of meeting the Federal Reserve’s dual mandate, which is i) to achieve low inflation and ii) to strive for maximum employment. Arguably, given the anemic growth here in the U.S.; the recession in Europe; and slowing growth in the emerging markets (i.e., China, Brazil, India, etc. ), slack in the economy and static labor wages have largely kept inflation in check. With the first part of the dual mandate met, Bernanke has had no problem putting his monetary superpowers to work. Rate Cuts (September 2007 – December 2008): Before “quantitative easing” was a part of our common vernacular, the Fed relied on more traditional monetary policies, such as federal funds rate targeting, conducted through purchases and sales of open market securities. Few investors recall, but before HB’s fed funds rate cut rampage of 10 consecutive reductions in 2007 and 2008 (the fed funds rate went from 5.25% to effectively 0%), Bernanke actually increased rates three times in 2006. 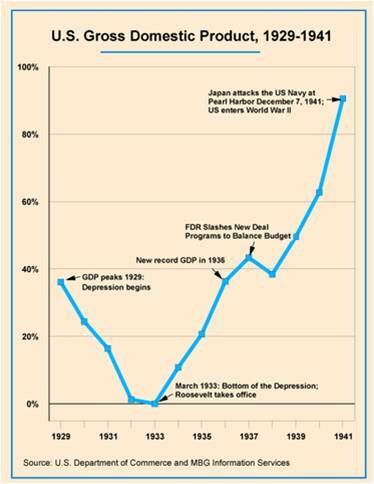 Crisis Actions (2007 – 2009): Love him or hate him, Bernanke has been a brave and busy soul in dealing with the massive proportions of the global financial crisis. If you don’t believe me, just check out the Financial Crisis Timeline listed at the St. Louis Federal Reserve. Many investors don’t remember, but Bernanke helped orchestrate some of the largest and most unprecedented corporate actions in our history, including the $30 billion loan to JPMorgan Chase (JPM) in the Bear Stearns takeover; the $182 billion bailout of AIG; the conversion of Morgan Stanley (MS) and Goldman Sachs Group Inc. (GS) into bank holding companies; and the loan/asset-purchase support to Fannie Mae (FNMA) and Freddie Mac (FMCC). These actions represented just the tip of the iceberg, if you also consider the deluge of liquidity actions taken by the Fed Chairman. QE1 (November 2008 – March 2010): In hopes of lowering interest rates for borrowers and stimulating the economy, HB spearheaded the Fed’s multi-step, $1 trillion+ buying program of MBS (mortgage backed securities) and Treasuries. QE2 (November 2010 – June 2011): Since the Fed felt QE1 didn’t pack enough monetary punch to keep the economy growing at a fast enough clip, the FOMC (Federal Open Market committee) announced its decision to expand its holdings of securities in November 2010. The Committee maintained its existing policy of reinvesting principal payments from its securities holdings and to also purchase a further $600 billion of longer-term Treasury securities by the end of the second quarter of 2011 (an equivalent pace of about $75 billion per month). Operation Twist (September 2011 – December 2012): What started out as a $400 billion short-term debt for longer-term debt swap program in September 2011, expanded to a $667 billion program in June 2012. With short-term rates excessively low, Bernanke came up with this Operation Twist scheme previously used in the early 1960s. Designed to flatten the yield curve (bring down long-term interest rates) to stimulate economic activity, Bernanke thought this program was worth another go-around. Unlike quantitative easing, Operation Twist does not expand the Fed’s balance sheet – the program merely swaps short-term securities for long-term securities. Currently, the program is forecasted to conclude at the end of this year. So what’s my verdict on the continuous number of unprecedented actions that Helicopter Ben and the Fed have taken? Well for starters, I have to give Mr. Bernanke an “A-” on his overall handling of the financial crisis. Had his extreme actions not been taken, the pain and agony experienced by all would likely be significantly worse, and the financial hole a lot deeper. With that said, am I happy about the announcement of QE3 and the explosion in the Fed’s money printing activities? The short answer is “NO”. It’s difficult to support a program with questionable short-run interest rate benefits, when the menacing inflationary pressures are likely to outweigh the advantages. The larger problem in my mind is the massive fiscal problem we are experiencing (over $16 trillion in debt and endless trillion dollar deficits). More importantly, this bloated fiscal position is creating an overarching, nagging crisis of confidence. 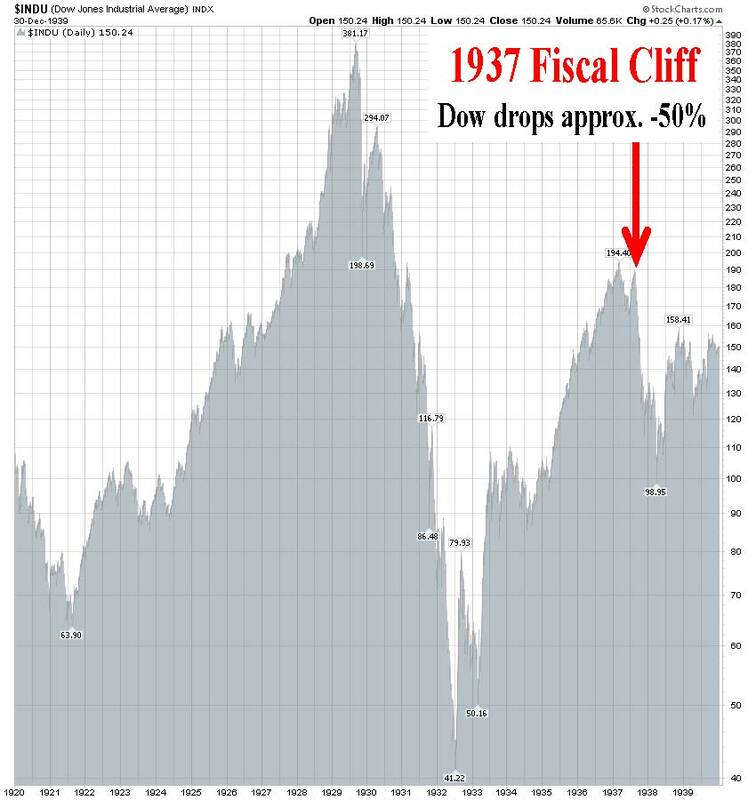 A resolution to the so-called “fiscal cliff,” or the automated $600 billion in tax increases and spending cuts, is likely to have a more positive impact on confidence than a 0.05% – 0.25% reduction in mortgage rates from QE3. Once adequate and sustained growth returns, and inflation rears its ugly head, how quickly Helicopter Ben tightens policy will be his key test. Until then, Bernanke will probably continue flying around while gloating in his QE3 cape, hoping his quantitative easing program will raise general confidence. Unfortunately, his more recent monetary policies appear to be creating diminishing returns. Even before QE3’s implementation, Helicopter Ben has witnessed his policies expand the Fed’s balance sheet from less than $900 billion at the beginning of the recession to almost $3 trillion today. Despite these gargantuan efforts, growth and confidence have been crawling forward at only a modest pace. 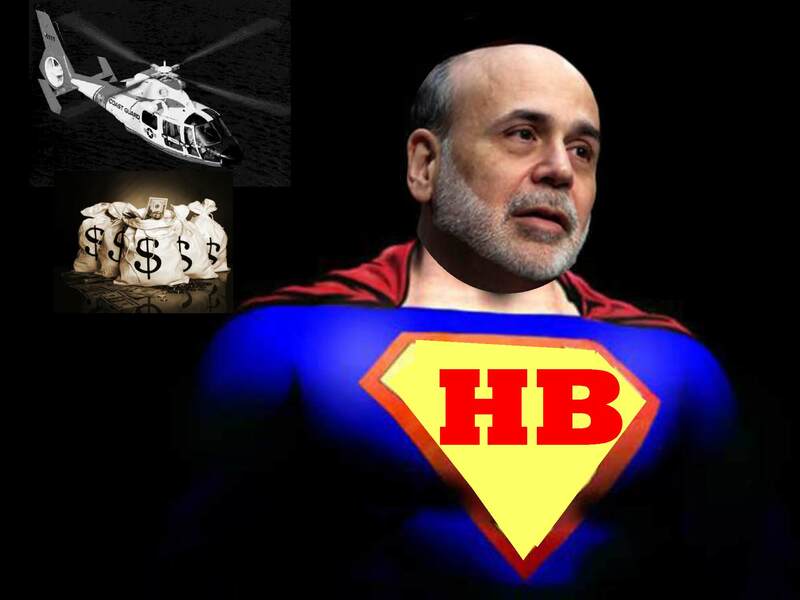 No matter the outcome of QE3, as long as Ben Bernanke remains Federal Reserve Chairman, and growth remains sluggish, you can stay confident this financial man of steel will continue dumping money into the system from his helicopter. If Bernanke wants to create a true legendary superhero ending to this story, the kryptonite-like effects of inflation need to be avoided. This means, less money-printing and more convincing of Congress to take action on our out-of-control debt and deficits. Now, that’s a comic book I’d pay to read. DISCLOSURE: Sidoxia Capital Management (SCM) and some of its clients hold positions in certain exchange traded funds (ETFs), but at the time of publishing SCM had no direct positions in JPM, AIG, MS, GS, FNMA, FMCC, or any other security referenced in this article. No information accessed through the Investing Caffeine (IC) website constitutes investment, financial, legal, tax or other advice nor is to be relied on in making an investment or other decision. Please read disclosure language on IC Contact page. Many drivers here in California adhere to the common freeway speed limit of 65 miles per hour, while some do not (I’ll take the 5th). In the vast majority of cases, racing to your destination at these faster speeds makes perfect sense. However, driving 65 mph through the shopping mall parking lot could get you killed, so slower driving is preferred in this instance. Ultimately, the specific environment and situation will dictate the rational and prudent driving speed. Decision making works in much the same way, and Daniel Kahneman, a Nobel Prize winner, has encapsulated his decades of research in psychology and economics in his most recent book, Thinking, Fast and Slow. 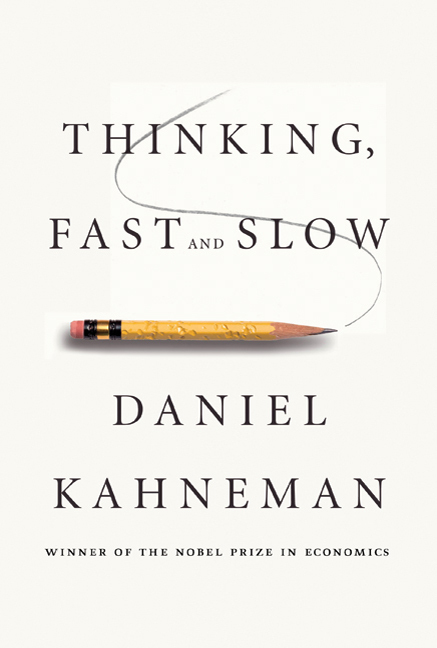 Much of Kahneman’s big ideas are analyzed through the lenses of “System 1” and “System 2” – the fast and slow decision-making processes persistently used by our brains. System 1 thinking is our intuition in the fast lane, continually making judgments in real-time. Our System 1 hunches are often correct, but because of speedy, inherent biases and periodic errors this process can cause us to miss an off-ramp or even cause a conclusion collision. System 2, on the other hand, is the slower, methodical decision-making process in our brains that keeps our hasty System 1 process in check. Although little mental energy is exerted by using System 1, a great deal of cerebral horsepower is required to use System 2. Summarizing 512 pages of Kahneman’s book in a single article may be challenging, nevertheless I will do my best to summarize some of the interesting highlights and anecdotes. A multitude of Kahneman’s research is reviewed, but a key goal of the book is designed to help individuals identify errors in judgment and biases, in order to lower the prevalence of mental mistakes in the future. Buying Baseball: We’ll start off with a simple Kahneman problem. If a baseball bat and a ball cost a total of $1.10, and the bat costs $1 more than the ball, then how much does the ball cost? The answer is $0.10, right? WRONG! Intuition and the rash System 1 forces most people to answer $0.10 cents for the ball, but after going through the math it becomes clear that this gut answer is wrong. If the ball is $0.10 and the bat is $1 more, then that would mean the bat costs $1.10, making the total $1.20…WRONG! This is clearly a System 2 problem, which requires the brain to see a $0.05 ball plus $1.05 bat equals $1.10…CORRECT! The Invisible Gorilla: As Kahneman points out, humans can be blind to the obvious and blind to our blindness. To make this point he references an experiment and book titled Invisible Gorilla, created by Chritopher Chabris and Daniel Simons. In the experiment, three players wearing white outfits pass a basketball around at the same time that a group of players wearing black outfits pass around a separate basketball. The anomaly in the experiment occurs when someone in a full-sized gorilla outfit goes prancing through the scene for nine full seconds. To the surprise of many, about half of the experiment observers do not see the gorilla. In addition, the gorilla-blind observers deny the existence of the large, furry animal when confronted with recorded evidence (see video below). Green & Red Dice: In this thought experiment, Kahneman describes a group presented with a regular six-sided die with four green sides (G) and two red sides (R), meaning the probability of the die landing on green (G) is is much higher than the probability of landing on red (R). To make the experiment more interesting, the group is provided a cash prize for picking the highest probability scenario out of the following three sequences: 1) R-G-R-R-R; 2) G-R-G-R-R-R; and 3) G-R-R-R-R-R. Although most participants pick sequence #2 because it has the most greens (G) in it, if one looks more closely, sequence #2 is the same as #1 except for sequence #2 has an additional green (G). Therefore, the highest probability winning answer should be sequence #1 because sequence #2 adds an uncertain roll that may or may not land on green (G). Anchoring Effect: Was Gandhi 114 when he died, or was Gandhi 35 when he died? Depending how the question is asked, asking the initial question first will skew the respondents answer to a higher age, because the respondents answer will be somewhat anchored to the number “114”. Similarly, the price a homebuyer would pay for a house will be influenced or anchored to the asking price. Another word used by some for anchoring is “suggestion”. If a subliminal suggestion is planted, people’s responses can become anchored to that idea. Overconfidence: We encounter overconfidence in several forms, especially from what Kahneman calls the “Illusion of Pundits,” which is the confidence that comes with 20-20 hindsight experienced in our 24/7 media world. Or as Kahneman states in a different way, “The illusion that we understand the past fosters overconfidence in our ability to predict the future.” Driving is another example of overconfidence – very few people believe they are poor drivers. In fact, a well-known study shows that “90% of drivers believe they are better than average,” despite defying the laws of mathematics. A 50% chance to lose $200 and a 50% chance to win $20,000 . Although rational math would indicate these are smart bets to take, however most people decline the game because humans on average weigh losses twice as much as gains (see also the Pleasure/Pain Principle). To get a better understanding of predictive human behavior, the real emotional costs of disappointment and regret need to be accounted for. Truth Illusions: A reliable way to make people believe in falsehoods is through repetition. More exposure will breed more liking. In addition to normal conversations, these repetitive truth illusions can be witnessed in propaganda or advertising. Minimizing cognitive strain also reinforces points. Using bold, colored, and contrasted language is more convincing. Simpler language rather than more complex language is also more credible. Narrative Fallacies: We humans have an innate desire to continually explain the causation of an event due to skill or stupidity – even if randomness is the best explanation.People try to make sense of the world, even though many outcomes have no straightforward explanation. Often times, a statistical phenomenon like “regression to the mean” can explain the results (i.e., outliers revert directionally toward averages). The “Sports Illustrated Jinx,” or the claim that a heralded cover story athlete will be subsequently cursed with bad performance, is used as a case in point. Actually, there is no jinx or curse, but often fickle luck disappears and athletic performance reverts to norms. Many of the principles in Kahneman’s book can be applied to the world of stocks and investing too. According to Kahneman, the investing industry has been built on an “illusion of skill,” or the belief that one person has better information than the other person. To make his point, Kahneman references research by Terry Odean, a finance professor at UC Berkely, who studied the records of 10,000 brokerage accounts of individual investors spanning a seven-year period and covering almost 163,000 trades. The net result showed dramatic underperformance by the individual traders and confirmed that stocks sold by the traders consistently did better than the stocks purchased.“Taking a shower and doing nothing” would have been better than the value destroying trading activity. In fact, the most active traders did much worse than those who traded the least. For professional managers the conclusions are not a whole lot different. “For a large majority of fund managers, the selection of stocks is more like rolling dice than like playing poker. Typically at least two out of every three mutual funds underperform the overall market in any given year,” says Kahneman. I don’t disagree, but I do believe, like .300 hitters in baseball, there are a few managers that can consistently outperform. There are a lot of lessons to be learned from Daniel Kahneman’s book Thinking, Fast and Slow and I apply many of his conclusions to my investment practice at Sidoxia. We all race through decisions every day, but as he repeatedly points out, familiarizing ourselves with these common mental pitfalls, and also utilizing our more methodical and accurate System 2 thought process regularly, can create better decisions. Better decisions not only for our regular lives, but also for our investing lives. It’s perfectly OK to race down the mental freeway at 65 mph (or faster), but don’t forget to slow down occasionally, in order to avoid mental collisions. Sun Breaking through Stormy Financial Clouds? 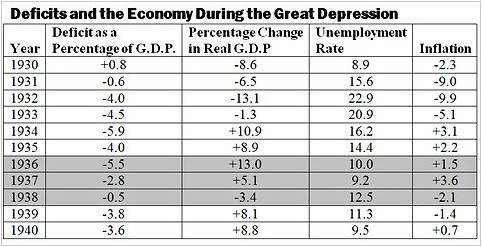 The ominous economic storm clouds have been looming for quite some time now. And with the lingering European financial crisis, U.S. Presidential elections, and a pending “fiscal cliff” coming to a head in the next few months, investors have their umbrellas firmly in hand. While average investors have been running for shelter, the stock market has been shining. In addition to the +2% gain in August, stocks have advanced about +12% in 2012 and about +20% from a year ago, as measured by the S&P 500 index. The move in the Nasdaq Composite index has been even brighter, surging +18% higher this year and about +25% from a year ago (quite a bit different from Bill Gross’s “Cult of Equity” 4% return expectations). 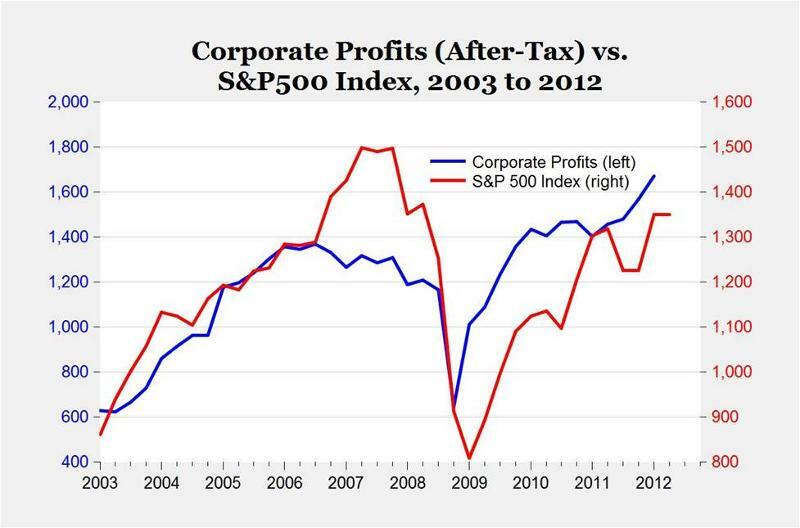 Despite the positive returns and record profits, investors remain terrified. How scared are people about potential economic thunder and lightning? 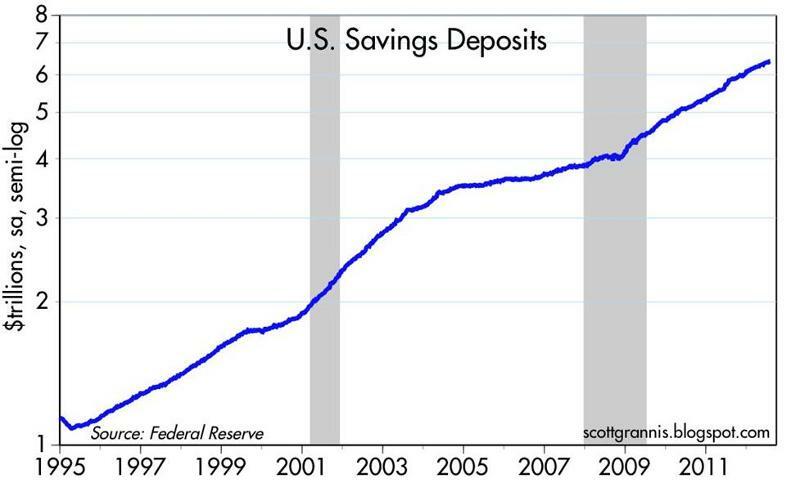 According to Scott Grannis at Calafia Beach Pundit, savings deposits have increased by a staggering $2.4 trillion over the past four years, which is effectively losing 2-3% in annual value to inflation. I don’t know when negative sentiment will turn positive, but when it does, there is a lot of pent up demand for consumption and investment. The markets hate uncertainty. This cliché is often referenced, but the truth is…there is always uncertainty. More aptly stated, the markets hate additional uncertainty. 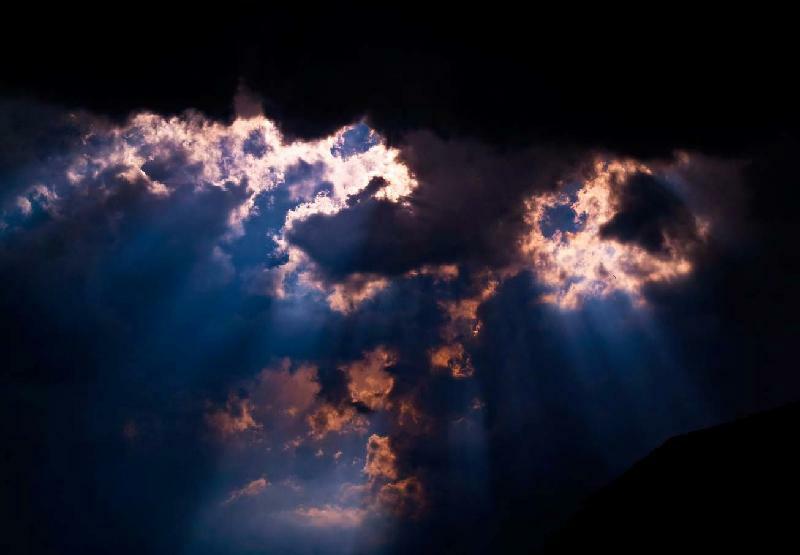 So whether you are a Republican or Democrat, the mere fact the elections will be over in November may be enough to lower uncertainty and lift some of the gloomy financial clouds. Republicans hope for fiscal sanity to return with a win by the Romney ticket, but the market may favor an Obama victory because it likes the devil it knows rather than the one it doesn’t. The race is very close now, and as always, the Independents will determine which party ultimately wins. When discussion shifts to the impending “fiscal cliff” (automatic tax hikes and spending cuts), voter patience wears thinner – inaction is no longer a sustainable political strategy. If you don’t believe me, then just reference the record-low Congressional approval rating. Incumbents looking for re-election will have to set forth credible solutions to these serious fiscal problems, or suffer the consequences. Voters are serious now, and a “do-nothing” strategy will only lead to an early retirement, not a cushy paycheck in Washington D.C. The corporate world is watching closely too. Tight-fisted executives sitting on trillions of dollars in cash are looking for some direction. No matter who wins, by knowing the direction of future policy changes, executive optimism is likely to spur incremental growth. On the surface, the uninspiring economic data would suggest to investors to pack their bags and move into a bunker. However, what shrewd investors realize is that trading with economic trends is not an optimal strategy. Following such logic would have led investors to pile in buying at the peak of 2007 and panic sell at the bottom in early 2009. Much of the recent economic news is nothing to write home about, and the information has already been factored into current prices and expectations. The real trick is determining the state of affairs 12-18 months from now, which is not an easy task. 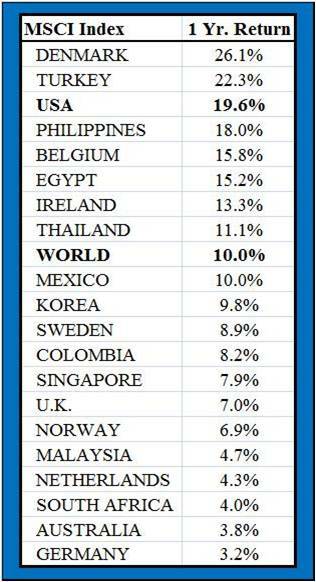 So while current data is fragile at best, governments and central banks across the globe have been aggressively cutting rates, implementing fiscal stimulus, and positioning for further monetary policy support. What’s more, consumers and corporations have deleveraged (cut debt) significantly, and governments are currently going through this painful process. 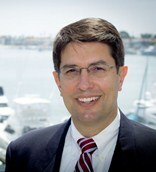 As the weakening data started to roll out at the beginning of spring, so-called market pundits were quick to point out the seasonal trade to “Sell in May and go away.” Well, if you followed that strategy, you may have slept better, but you not only would have incurred significant transaction costs and taxes, but also given up some capital gains and dividends. September and October have traditionally been volatile months, so the financial market gods may still have something to say. Weather forecasting and financial forecasting are difficult professions. Even though the economic weather has been cloudy recently, if you are relying too heavily on your umbrella and galoshes, the next few months should help determine whether it’s time to bust out your sunglasses and sunscreen rather than a heavy raincoat. DISCLOSURE: Sidoxia Capital Management (SCM) and some of its clients hold positions in certain exchange traded funds (ETFs), but at the time of publishing SCM had no direct position in Barclays or any other security referenced in this article. No information accessed through the Investing Caffeine (IC) website constitutes investment, financial, legal, tax or other advice nor is to be relied on in making an investment or other decision. Please read disclosure language on IC Contact page.